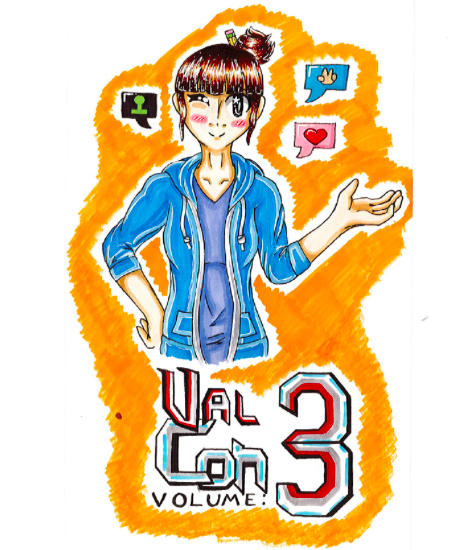 The Valley Cottage Library will be hosting “ValCon: Volume 3” on Saturday, July 22, 2017 from 10am-4pm. ValCon is a mashup of the words “Valley Cottage” and “Comic Con.” The event is free and open to the public. The Valley Cottage Library was the first library in Rockland County and the first library in the Ramapo Catskill Library System to host a library con. Over the past two years, the event has grown and drawn hundreds of people. With the return of the 501st Legion and local businesses such as Funny Business of Nyack, an artist alley with new and returning faces, along with many new additions to the day’s schedule, this year’s ValCon will once again be an exciting event. ValCon will also be loaded with activities, including panels, workshops, presenters, artists and vendors. Some of them include: Workshops on publishing, drawing, how to start tabeling in artist alleys, and candy sushi rolling; Yoshi Amao from Samurai Sword Soul will perform a sword fighting demonstration and then lead a brief workshop; Artists Gregg Schigiel and Bun Leung will face off in a Comics Quick Draw game; A photo booth (#VCLValCon), “Easter Egg” hunt, and Power Point Karaoke Game Show; The Teen Corner will become the Game Corner for people to play board games and card games such as Magic the Gathering; A cosplay contest where the top prize is two 4-day passes to New York Comic Con.